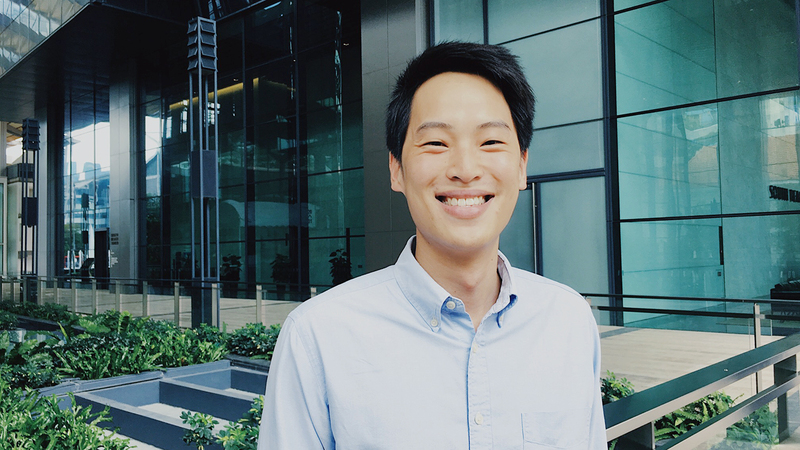 SekolahSG Profiles is a series in which we interview young Indonesians in Singapore with interesting jobs they’re passionate about and worked hard to get. Candid and sincere, we tell it like it is: the good and the bad. 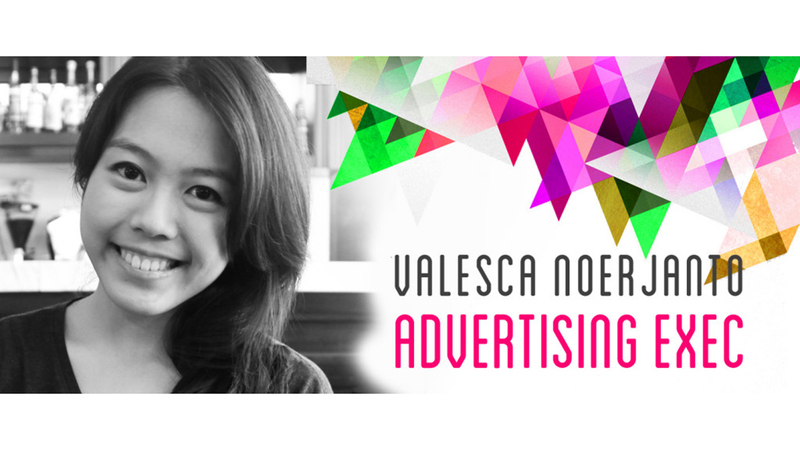 This week, we’re talking to Valesca Noerjanto. 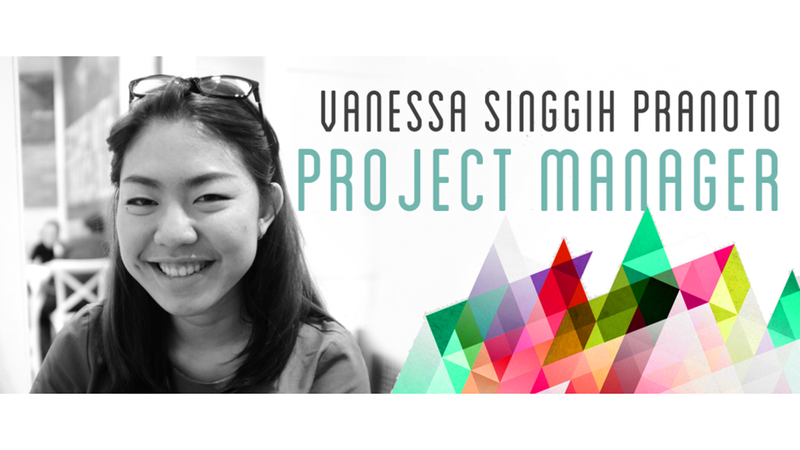 An accounting major at Singapore Management University (SMU), Valesca, 23, tried extremely hard to like the financial industry: she did four internships in four different niches. (She also worked part-time at Hershey’s Chocolate World, which is pretty awesome.) 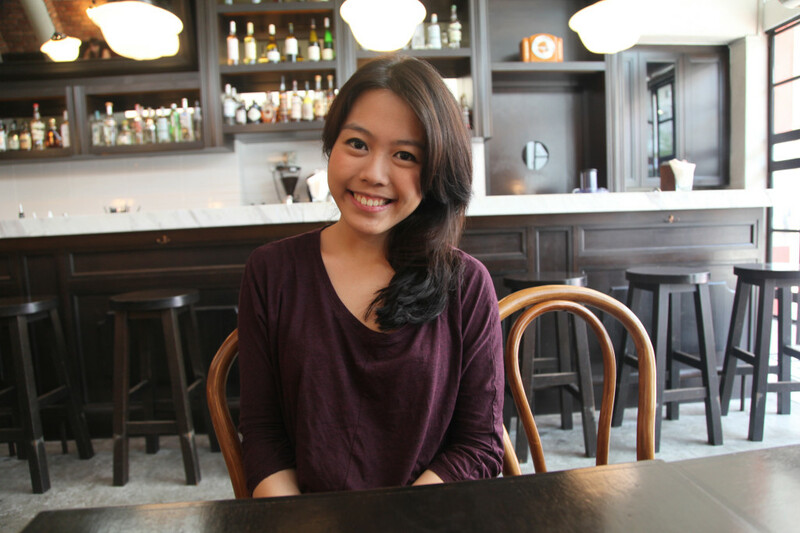 After graduating, however, she decided that she didn’t like finance, and moved to advertising. Read on for when she had that Aha! moment, how she made the jump, and why finding a career path is like dating. My name is Valesca Noerjanto. I went to high school at SMAK 1 BPK Penabur in Jakarta, and graduated from Singapore Management University with a bachelor’s degree in Accountancy. I’m now doing account management at Ogilvy & Mather in Singapore. Why did you choose accounting in the first place? It’s considered a safe degree for Indonesians. It’s the prescribed, advised degree towards good jobs that will lead to a good career. When I was in SMU, I did four internships: internal audit at Astra, external audit at PricewaterhouseCoopers, fixed income sales at Nomura/Lehman Brothers and syndicated loans at Standard Chartered. I did everything related to my degree. What was your takeaway having gone through 4 internships? This is not what I want to do. I tried so hard liking either one of the 4 possible options, but I couldn’t. So when I graduated, I realized that this was my last chance to try something new and screw up, basically. I can’t keep telling prospective employers that I want to try new experiences. At the time, a friend was actually interning in advertising, so it ended up becoming one of the several random industries that I sent my CV to. [W]hen I graduated, I realized that this was my last chance to try something new and screw up, basically. I can’t keep telling prospective employers that I want to try new experiences. What didn’t you like about the financial industry? I do believe you can get a lot of money, but I just don’t like doing the same thing over and over. And I don’t see how pulling daily, hourly market reports helps anyone. I’m not saying advertising is perfect, but at least every single deliverable you churn out, every single banner, every single EDM, they all have a direct impact. You really see how you solve your client’s problems straight away. During my internship at Publicis, my role was related to TV commercials. Seeing what you work on actually appear on TV is a pretty cool thing to feel, especially for a fresh grad who normally just sees Excel files. That’s when I decided that maybe this is what I want to do. In the end, everything falls back to you. Internships end after three months, but work goes on forever. You want to build a career out of it. You might not want to stop. If you have to stop, you might want to move to a place where you can build on your past experiences. You basically don’t want to waste your time. It’s like dating. [laughs] Why is it like dating? In the end it all depends on what you’re looking for in a guy. If your end goal is to get married to someone to get rich, then so be it. Even though you’re not happy with the guy, then just get the richest guy you can get. But if my end goal is to be with someone I’m happy and comfortable with, I’d still be happy even though I’m not in an industry that pays a lot. What exactly does account management entail? You manage an account, meaning a group of clients. The client reaches out to you, and you either help them reach their goals or solve a problem. This ranges from helping an airline with their PR after a crash, to a client who wants a 100% increase in sales within a year. It’s your job to connect the client with the resources in your agency. When you own an account, you do whatever it takes to help the client. What is agency life like? It is glamorous, I’d have to say. Fashion is a huge thing for most people. Everybody cares about what they’re wearing. But time is also a flexible thing. That means you can come to work at 10, but you can also not go back from work. That’s what everybody has to understand. You have to put in the necessary hours to get things done. The thing with advertising is that everyone can see what you are doing immediately. You can’t have typos in a billboard. It’s not one number hidden in grids of millions of other numbers in an Excel file. It’s out there for everybody to judge. You can’t hide your failures. That’s why it’s a really challenging industry, and everybody works round the clock to make sure that we deliver things right. Is it difficult to match the interests of the client with the creative team? In a sense, you’re a middle manager, you get pressure from both sides. Every creative agency would want to create something creative to win awards. Clients have their own restrictions, so it depends on you to make the two clashing interests meet. Imagine that your creative team has this $1 million creative plan that might actually work to solve your client’s problems, but your client only has $10,000. We must manage everyone’s expectations because there’s no way we can meet them all. If you look back to your experiences interning in accounting and finance, do you think it has helped you in your current field? How so? Any working experience is good for you. It’s always better than not having any, just because you’re scared it might not be useful for your future career. You’re bound to learn something, even when you work somewhere like Hershey’s Chocolate World at Sentosa, which I have. Tell us a little bit more about working in Hershey’s. How did that help you in your current job? Hershey’s is very popular for its visual merchandising. Everybody goes there and takes pictures, so if there are empty rows or wrong placements, people could easily spot them. It is our task as staff to always replenish everything, make sure it looks beautiful. It basically trained me to spot anything aesthetic-related. You learn to see if something’s off, or chipped, or just wrong. And it’s really important in my job because you can’t be off, not even by one pixel. Is there a strategy to picking the kind of internships that is right for you? First internship, do whatever’s related to your degree. Take whatever you’re offered. You are nobody. Learn a lot from that internship, and decide if you want to stick with it. Depending on your first internship, go do something new at your second internship, or try to excel in the same industry. For me, I wanted to do something new. Also, now that you’ve at least had your first internship, try to snag an internship at a better company. After your second internship, you should know already what you want to do and you should work towards that. But if you don’t, then just try something new. I wouldn’t have known that I like advertising this much if I never did all my previous internships. Was there a specific Aha! moment when you realized that, you know what? I will never set foot in banks ever again. I had that Aha! moment in my third internship, but I’ve spent four years in SMU struggling, crying blood, sweating tears… So I just did another bank internship, in the hopes that I would finally like it. After the fourth internship, it dawned on me that ah, this is not working. At least I’ve tried my best. It’s time to move on. Like any relationship. What I’m really glad to hear is that you did 4 internships, almost like 4 tastes into the different niches in the industry, and you tried your best to love it. Always try your best first, whatever you’re doing. Only when it’s not working, then you move. Because you won’t know your full capacity or your full potential if you never try your best. If you could go back to your first year of university, would you have chosen differently? Would you have chosen a different major? If you could get a do-over, what would you do? I might not, really. I like the way things progressed. I wouldn’t have known that I like advertising this much if I never did all my previous internships. Obviously instead of marketing, I’m packed with some useless accounting knowledge. But you can always pick it up as you go. It’s not like learning stops after university. Never regret what you’ve already done, but always strive to do better. You have any other advice to give your 16-year-old self? 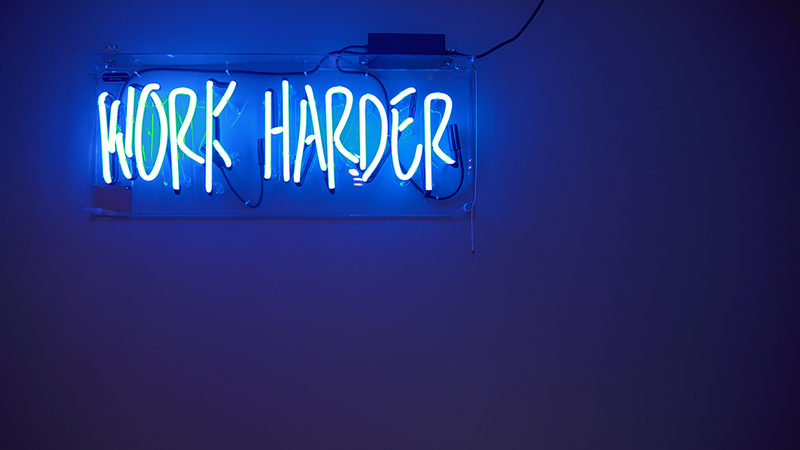 Party less: GPA actually matters, at least for your first job. Social life is important, because then you will get to meet people. And finally, it’s important to be happy. No one’s going to hire a depressed person. Unless you’re a depressed super smart genius who can change the world.